Legends claim that Hippocrates himself "prescribed" flaxseed to treat his patients. And today these seeds are among the most recommended by doctors and nutritionists for their general supportive and anti-inflammatory properties. Flaxseed is a major source of fibres, which act favorably to digestion and urinary system and create a feeling of satiety. 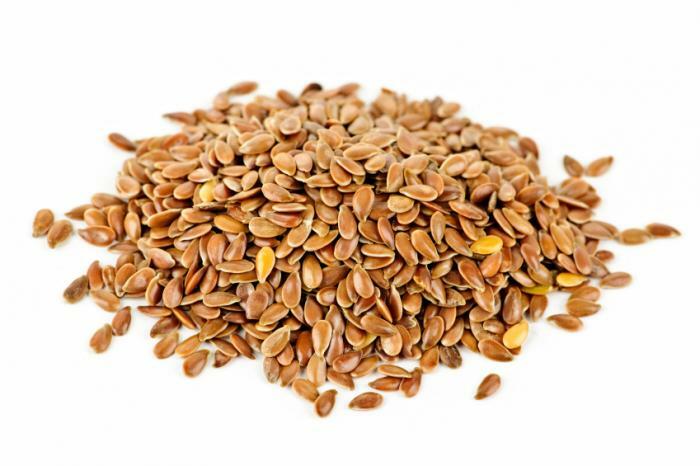 Flax seeds contain about 30% protein, 15% carbohydrates, they are rich in vitamin E and vitamin A. It also contains about 10% mucilage. The best source of omega-3 fatty acids that help to reduce cholesterol levels in the body. It contains also omega-6 fatty acids, vitamins A, E, C, B1, B2, B3, B5, B6, B9, calcium, magnesium, phosphorus, potassium, zinc, iron. Flax has lignans, which are known as plant estrogen and have antioxidant properties. Flaxseed helps regulate blood sugar levels due to the fibres therein.